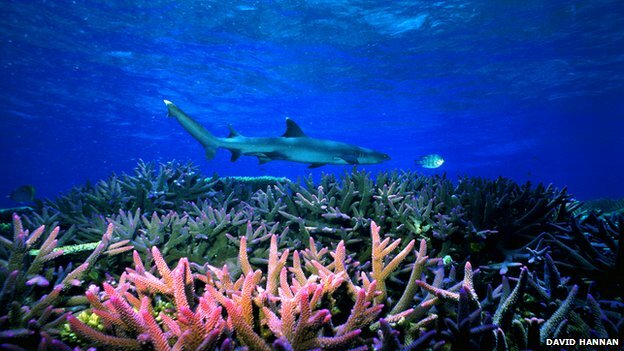 End Coal | Will coal exports kill the Great Barrier Reef? “An icon under pressure.” That was how Australia’s Great Barrier Reef was described recently by the body that manages it. Stretching along the Queensland coast, the reef is an underwater wonderland home to thousands of different fish and coral species. But it is facing multiple threats. Swathes of coral have been killed by the crown-of-thorns, a starfish which has flourished partly because of fertilisers seeping into the sea from farm run-off. 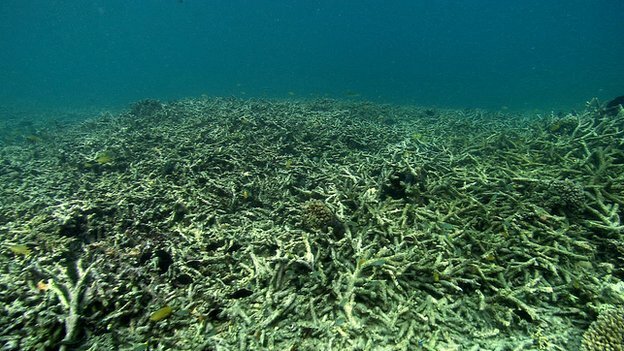 Extreme weather has also damaged the reef, while increased carbon in the atmosphere has made the water too acidic, leading to coral bleaching. Reef that was once blooming is now grey, crumbling and barren. But environmentalists say there’s another major threat: coal. 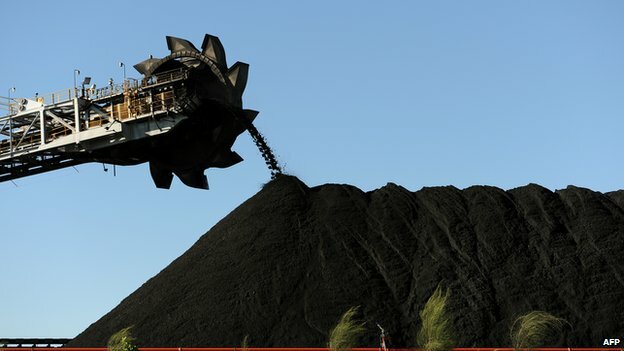 Queensland is Australia’s biggest coal-producing state. Up and down the coast there are huge coal ports fed by kilometres-long trains that lumber in from the big mines inland. The scale of the mining operation in Queensland is striking – and growing. A Unesco World Heritage site – Unesco is also considering listing it as endangered. In July, the government approved a project that will lead to the creation of Australia’s biggest coal mine in the Galilee Basin region of central Queensland. The Carmichael Mine, owned by the Indian conglomerate Adani, will cover an area seven times the size of Sydney harbour. When the A$16bn (£9.9bn; $16bn) project is developed, the plan is to export 60 million tonnes of coal each year to India, for 60 years. The coal industry here believes India, with its massive and fast-growing population, is the new China. “While the rest of the world demands our coal, we will supply it,” says Michael Roche, chief executive of the Queensland Resources Council. Australia already exports around a million tonnes of coal every single day. A good proportion of it is shipped out through the Great Barrier Reef. Looking out from the hilltop above the Hay Point Coal terminal near Mackay you can see more than a dozen huge coal ships queuing to pick up their cargo. To accommodate those ships many of the coal ports are having to be expanded. 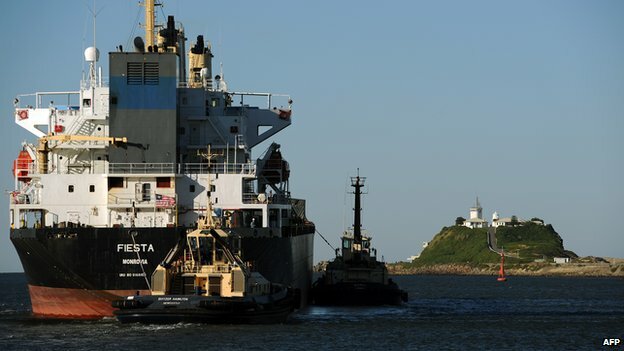 Shipping channels are being dredged to make way for bigger boats. 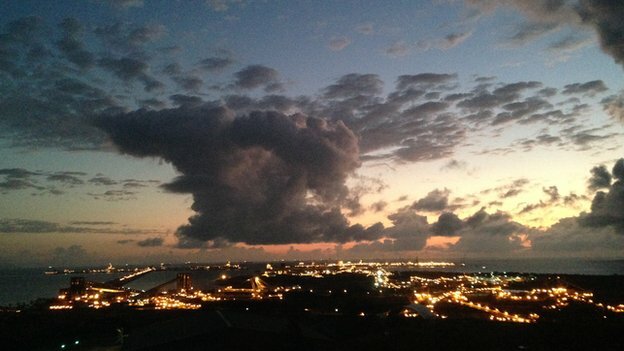 The most controversial project is at Abbot Point, just north of the town of Bowen. Earlier this year the government approved a plan to dredge the port, dumping thousands of tonnes of sediment at sea. 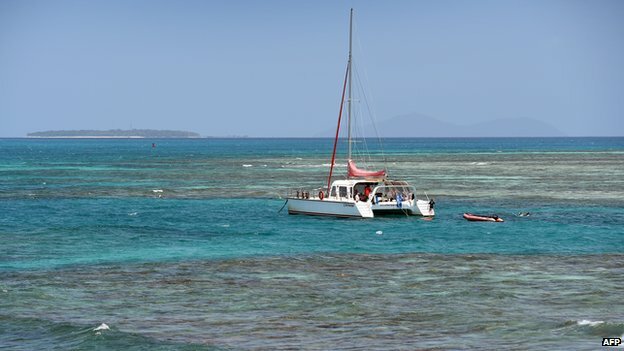 Environmentalists have been outraged, saying the sediment will further damage the reef. “At dredging sites, we found more than twice as much coral disease than at our control sites,” says Joe Pollock. He is from the ARC Centre of Excellence for Coral Reef Studies at James Cook University, which carried out the first study on the impact of dredging activity on the reef. Following pressure, the Queensland state government has now put forward a proposal to dump the dredged sediment from the Abbot Point project on land rather than at sea, although no final decision has yet been made. The mining industry says the dangers are being overplayed, arguing far greater quantities of sediment are washed into the ocean naturally from Queensland’s river system. “Don’t believe what some of the NGOs are saying,” says Michael Roche of the Queensland Resources Council. At the moment, it does not seem to be a campaign those NGOs are winning. The current government is a great champion of coal. “Let’s have no demonisation of coal,” Australian Prime Minister Tony Abbott said earlier this month as he opened the Caval Ridge coalmine in central Queensland. It is words such as this that have made Mr Abbott a hate figure for environmentalists. David Hannan, one of the world’s leading underwater cameramen, has been filming the reef for decades. He is also involved with a group campaigning to protect it, having witnessed the way it has changed. People like Mr Hannan accuse the government of short-term thinking. What will happen when the coal runs out? But coal has been hugely beneficial to Australia’s economy. In Queensland alone, the industry invests around A$40bn a year and provides tens of thousands of jobs. If money talks, then coal will win. The coal industry is clearly not the only factor having a negative impact on the reef. But Unesco, the United Nations scientific, cultural and educational body, has already said the impact of coal export expansion could contribute to the Great Barrier Reef being classified as “endangered” on its list of World Heritage Sites. It’s hard to imagine that a coal port could ever be beautiful. Yet looking out from Hay Point before dawn, the terminal’s lights twinkle against the blackness of the sea. But as the sun rises, the picture changes. Mountains of coal sit next to the azure waters that are home to the reef. The next few decades could determine whether the two can continue to exist side by side.